Besides his fantasy trilogy, The Lightbringer, Oliver Johnson has written some stand-alone novels and contributed to other fantasy series. CLICK HERE FOR MORE BOOKS BY OLIVER JOHNSON. 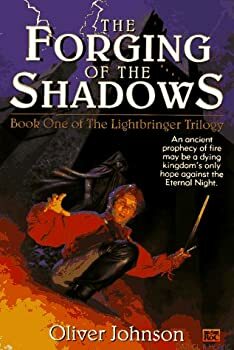 The Lightbringer — (1996-1999) Publisher: It is a time of great darkness where the sun has lost its brilliance. Mankind is divided into two warring factions — the worshippers of the God of Light and the servants of Eternal Night. It will take the courage of three people to embark on a quest to bring back the light.